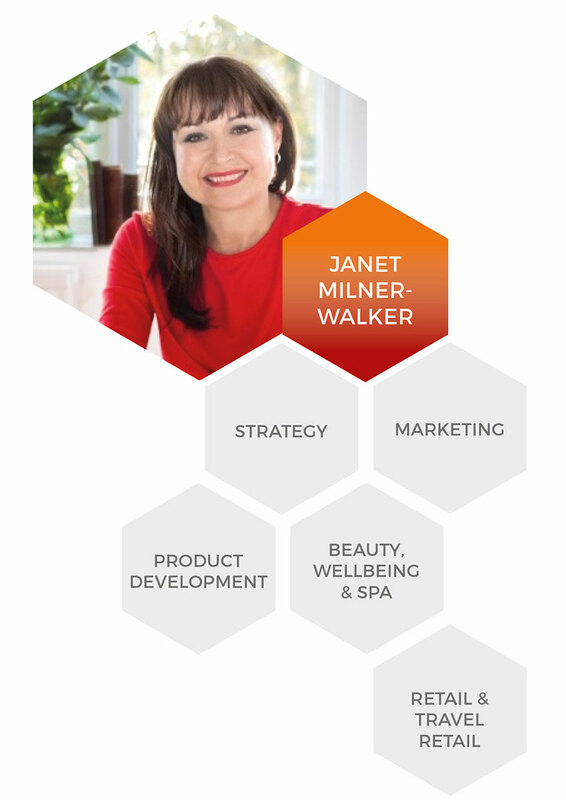 Through her beauty brand consultancy Bespoke Advantage Janet works with companies, retailers, spas, salons and start-ups to create bespoke beauty, spa and wellbeing brands from ‘concept to shelf’ drawing upon 20 years’ of practical experience in the beauty and retail industry. Since beginning her career in this fast-paced industry in 1997, she has worked in the UK, Middle East and South Africa for leading blue-chip companies and has a background in retail buying, product development and marketing. She has developed beauty brands for M&S, Harvey Nichols, Boots, Body Shop, and Crabtree & Evelyn across international markets, collaborating with suppliers in the UK, Europe and the Far East as well as worked with many start-up beauty brands equally passionate about bringing their ideas to market.